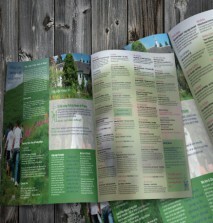 At Soapbox Design, we know that folded flyers make brilliant heavy weight brochures. Moreover if you need to make a great first impression, these are guaranteed to help. Folded Flyers: what are the benefits? Folded Flyers: what are the options? Folded flyers Printing: do you have artwork? 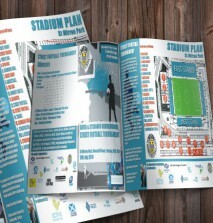 If you have, give us a call or email us, and one of our specialist designers will check that it’s print ready. However, don’t fuss if you don’t have any the design skills to create a flyer. 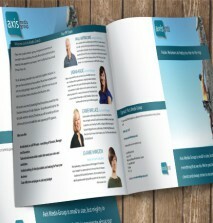 Over the years, our design team have created thousands of different styles of flyer for all kinds of professions. 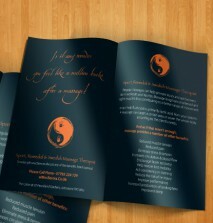 We love to design and folded flyers are an item we do more than most. Because they have such a wide range of uses we really design them every day. 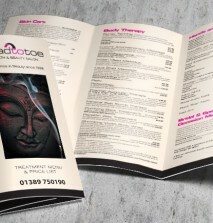 From menus to Company brochures they are by far the most versatile piece of marketing literature you can print. There is no need to print massive runs in the digital market we live in now, so if you are a smaller company needing 500 brochures to give to prospective clients we can provide these for you in just a few days. With studios in Glasgow North, Glasgow South and Paisley, we’re always nearby to assist. 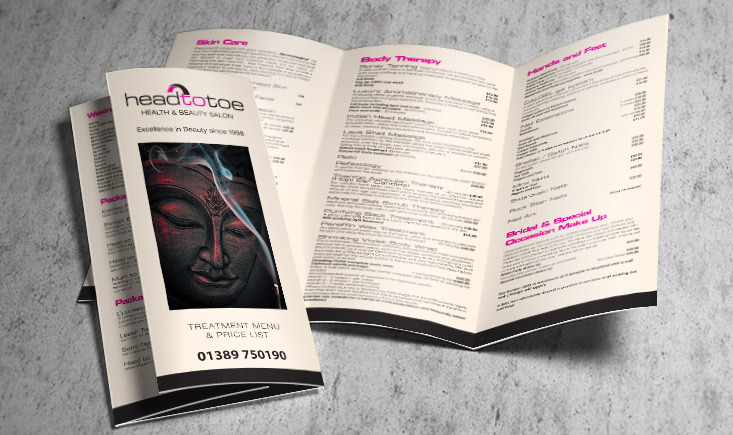 Our skilled designers will work with you to produce a leaflet design that suits your company brand and catches your client’s attention. Folded flyers Printing: what’s the next step? 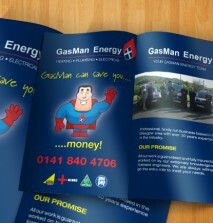 No matter what type of business you run, we have got the right style of folded flyers for you. So, what are you waiting for? Browse through the different leaflets above, add your favourite to the shopping cart, and then, checkout. Simple. 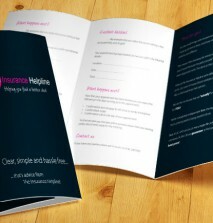 Remember: we offer a swift turnaround with our folded leaflet printing. Email us or call us to find out more.